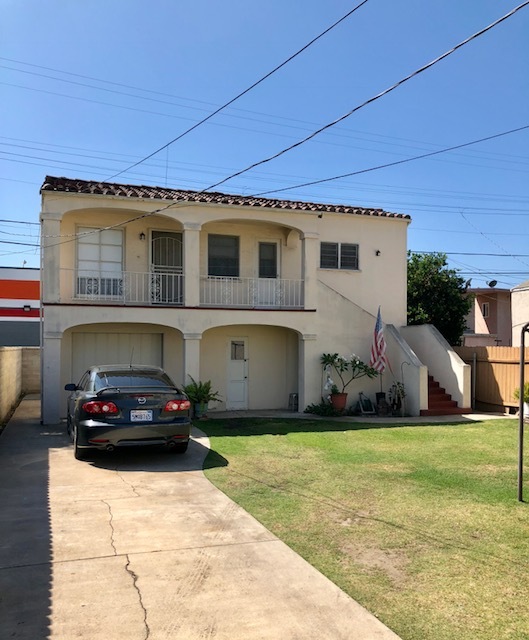 DESCRIPTION: GREAT OPPORTUNITY TO BUY A HOUSE WITH REAR UNIT IN MAYWOOD. 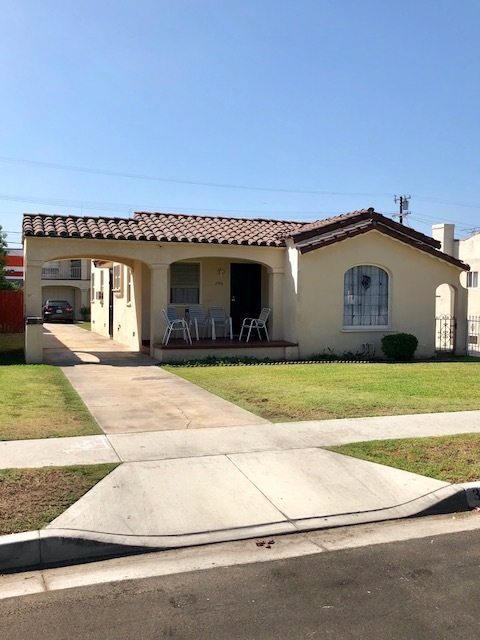 THIS SPANISH STYLE 2 BEDROOM, 1 BATH FRONT HOUSE FEATURES A LIVING ROOM WITH DINING AREA, KITCHEN WITH ENCLOSED BREAKFAST NOOK AND LAUNDRY ROOM WITH SIDE BY SIDE WASHER/DRYER HOOKUP. THE REAR 1 BEDROOM, 1 BATH UNIT OVER GARAGE FEATURES A LIVING ROOM AND KITCHEN WITH DINING AREA. 1 CAR GARAGE UNDER REAR UNIT AND STORAGE ROOM WITH WASHER/DRYER HOOKUP. BUYER TO VERIFY ALL PERMITS. GRASS BACKYARD. PERSONAL PROPERTY NOT INCLUDED IN SALE. CITY OF MAYWOOD PRESALE INSPECTION, EXPIRED LEASES, RENTAL INCREASE NOTICES & EXPENSES AVAILABLE UPON REQUEST. 3746 E. 58TH ST. – $1,066. PER MONTH. MONTH TO MONTH. EXPIRED LEASE & RENT INCREASE NOTICES AVAILABLE UPON REQUEST. 3746½ E. 58TH ST. – $527. PER MONTH. MONTH TO MONTH. EXPIRED LEASE AVAILABLE UPON REQUEST. LOT SIZE: 6,113± SQ. FT.
PROPERTY BORDERS 3751-3757 E. SLAUSON AVENUE WHERE A COVENANT AND ENVIRONMENTAL RESTRICTION IS RECORDED ON TITLE. COVENANT AVAILABLE UPON REQUEST. DEPOSIT: $10,000 CASH OR CASHIER’S CHECK REQUIRED TO BID. BALANCE OF 10% DEPOSIT BY PERSONAL CHECK. CASHIER’S CHECKS SHOULD BE MADE PAYABLE TO FLANS & WEINER, INC.. IN THE EVENT YOUR BID IS REJECTED, DEPOSIT WILL BE REFUNDED WITHOUT INTEREST.